Is there life after actuaries retire? The answer is a resounding “yes” — and that more abundantly! 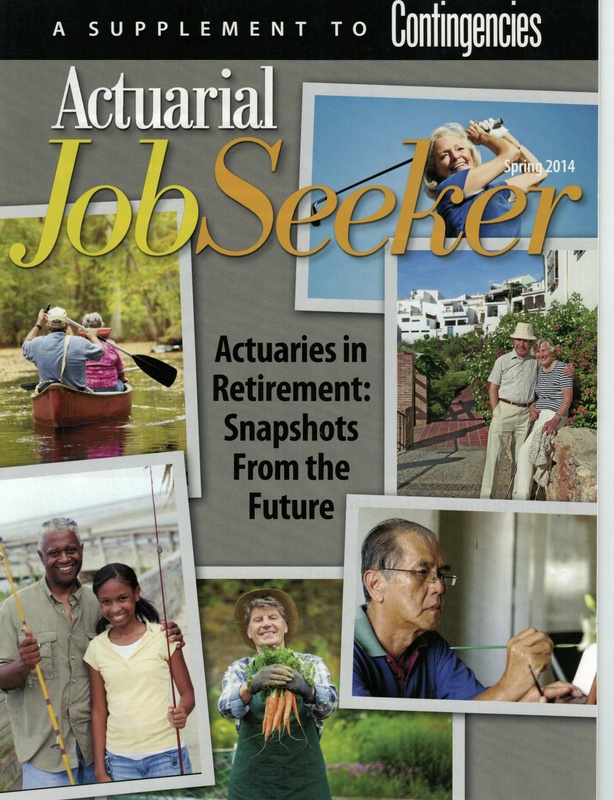 That was my conclusion after writing my article, “Actuaries in Retirement: Snapshots From the Future,” which was recently published in the Actuarial Job Seeker supplement of Contingencies magazine. Being an actuary is an identity forged by passing rigorous exams, working beyond full-time hours and keeping up with continuing education. Many actuaries continue in their professions after retiring from full-time work but they also pursue activities they simply did not have the time to do before. Besides featuring the stories of different actuaries, the piece also covers how to mentally prepare for retirement, which should be helpful to non-actuaries as well.